The European General Data Protection Regulation (GDPR) comes into force on the 25th May 2018. It is the most significant overhaul of data protection legislation that Europe has seen in over twenty years. 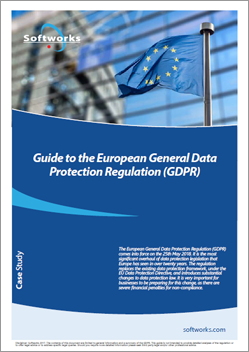 The regulation replaces the existing data protection framework, under the EU Data Protection Directive, and introduces substantial changes to data protection law. It is very important for businesses to be preparing for this change, as there are severe financial penalties for non-compliance.